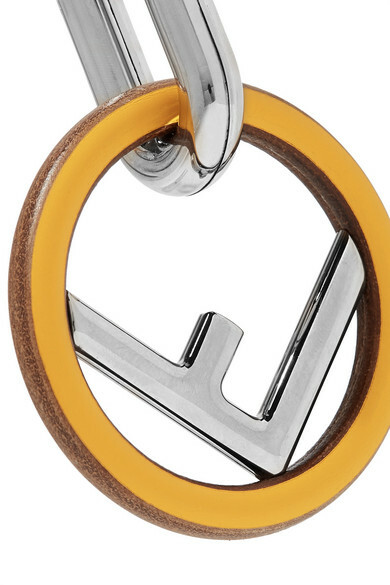 Fendi's iconic 'F' logo can be spotted on so many pieces in its Fall '18 collection, and these silver-tone earrings are no exception. 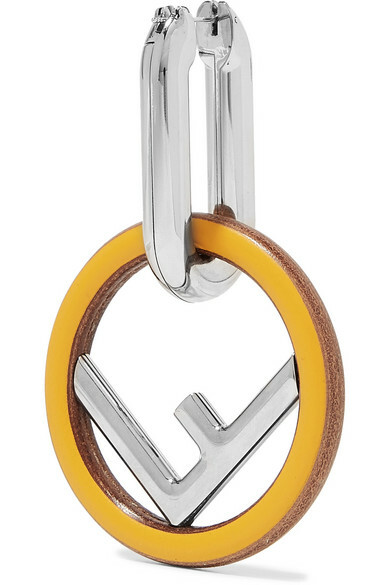 The motif is suspended upside down inside a wooden hoop that's detailed with bright-yellow enamel. Tuck your hair behind your ears to really show them off. 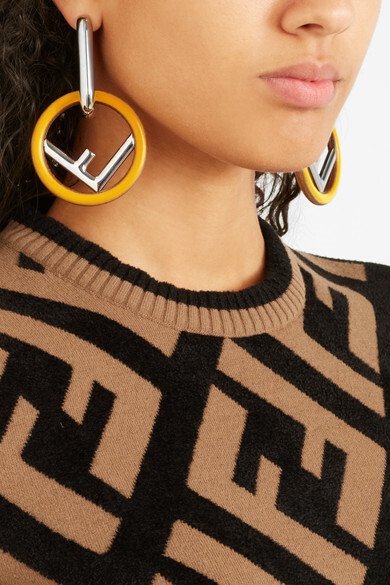 Shown here with: Fendi Sweater.